Dr. Gregory M. Casey D.D.S. , M.D. Fellowship Trained in Facial Cosmetic Surgery. Dr. Casey is double board certified in Cosmetic surgery and Maxillofacial surgery by the American Board of Facial Cosmetic Surgery and the American Board of Maxillofacial Surgery respectively. He is fellowship trained in Facial Cosmetic and Reconstructive Surgery. His surgical residency was completed at the Columbia University College of Physician’s and Surgeons in New York City and his fellowship was accredited by the American Academy of Cosmetic Surgery. He received his DDS from the University at Buffalo School of Dental Medicine, and his MD from the University of Health Sciences School of Medicine. Dr. Casey is a Fellow of the Amercian Academy of Cosmetic Surgery and is currently Associate Clinical Professor of Pediatric Maxillofacial Surgery at the University of Florida. He was also nominated for and served on the prestigious Board of Regents of the American College of Oral And Maxillofacial Surgeons (ACOMS), representing the Southeast region. He completed his undergraduate training and earned a Bachelor of Science in Biological Sciences with honors at the University at Buffalo where he also obtained his Dental Doctorate. During his time at the School of Dental Medicine in Buffalo, Dr. Casey received several awards and commendations for academic excellence. He also received the Dean’s Grant Research Fellowship in which he conducted an extensive research project in oral cancer. He then moved to Atlanta, Georgia to complete a one year surgical internship at Emory University School of Medicine in oral and maxillofacial surgery. After a period of private practice, Dr. Casey pursued a 16 month fellowship in Facial Plastic and Reconstructive Surgery in Gainesville, Florida under Charles E. Graper MD, DDS, FACS. Dr. Graper maintains his position as fellowship director which is accredited by the Amercian Academy of Cosmetic Surgery. In addition to advanced training in Facial Plastic and Reconstructive Surgery, Dr. Casey collaborated with Dr. Graper in lecturing oral and maxillofacial surgery residents at the Medical College of Georgia. Upon completion of his facial plastics fellowship, Dr. Casey also obtained advanced training in skull base surgery and transphenoidal approaches to Pituitary tumors under the auspices of Dr. Ramon Ruiz DMD, MD who is currently the director of an accredited Craniofacial and cleft lip and palate fellowship at Orlando’s Arnold Palmer children’s hospital and is an internationally recognized speaker on these topics. Dr. Casey has also contributed to a chapter in “A Textbook of Regional Anesthesia and Acute Pain Management” published in 2006 by Admir Hadzic MD, PHD. 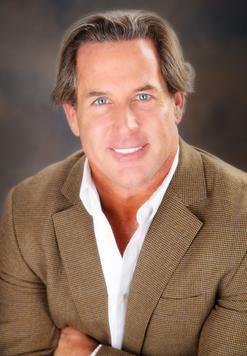 Dr. Casey has always had a passion for surgery and facial aesthetics. That is why he is so proud to offer REJUV, a medical facial spa for skin education, correction, and rejuvenation. Dr. Casey performs all aspects of surgical and non-surgical facial cosmetic procedures. He specializes in surgical procedures such as eyelid surgery, chin and cheek implants, brow and face lift, and rhinoplasty procedures. Dr. Casey considers himself conservative and recommends numerous non-surgical facial rejuvenation procedures such as regular facials and dermal fillers (i.e Restylane, Juvederm), Botox and Laser skin rejuvenation and medical facial peels too easily rejuvenate the skin. He is a fellow of the American Association of Oral and Maxillofacial Surgeons and fellow of the American Academy of Cosmetic Surgery. He is a member of the Florida Society of Oral and Maxillofacial Surgery, and the American Dental Society of Anesthesiology. He is currently licensed to practice in the states of Florida and New York. He holds privileges to operate and covers emergency and facial trauma call at the trauma center at Lee Memorial Hospital. Dr. Casey is proud to invite you to meet our friendly and educated team and discuss any concerns that you may have regarding the latest techniques in surgical and non-surgical Facial Cosmetic Rejuvenation.